What should you do? Call us! So you’ve decided to purchase either silver or gold, but what should you do? What form should you buy? Where should you buy it? If you’ve decided to purchase some of both, what ratio should you employ? Let me first say this, if you have finally made the decision to protect yourself and family, the hardest part is already accomplished. If you already are a long term holder then maybe you need to take an overview and “tweak” the portfolio – either re-balancing it or diversifying it. I have always been an advocate of diversifying. Some say that you should be 100% physical metal and have no representation in the shares. I disagree. With the physical, some say you should have recognized bars or coins. I have always advocated (unless you are massively wealthy) that you go the coin or “round” route. Some say that you should be equally weighted between gold and silver. My thought is that 10 ounces of silver for every 1 ounce of gold is correct. This way you are buying more “undervalued” (relatively) silver than gold (by weight) and at the same ratio that they are currently being mined from the Earth. Another advantage is that at current prices, your holdings are more “portable” as you have 5 times more “Dollars worth” in more easily carried Gold. 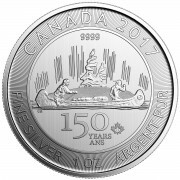 In Silver, you will want to look at “junk ,” Eagles, Maples and “rounds” as they are already “divided” for you. Can you imagine trying to “use” your Silver with either a 100 or 1,000 ounce bar? 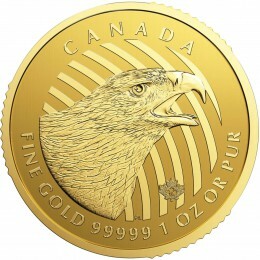 With Gold, the same thing, Eagles or Maples make sense along with Sovereigns, Philharmonics or Pandas. Bars not so much. “Not so much” because there is a small chance they can be counterfeited, “tungstened” or plated (which is why you should do your due diligence on who you buy from). 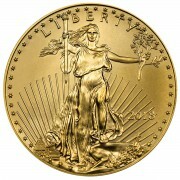 Especially for Gold; can you imagine trying to get “change” from your 100 ounce bar? So now that you have decided on what form and what ratio, where do you store it? “Where” should you go to make your purchase? First off you should shop. Shop prices for the quantity of the product(s) that you are looking for. Ask questions. Ask, “How long before my metal arrives?” Ask if it’s insured. What if it “gets lost in the mail?” Or you have decided that you want to swap some gold for silver or vice versa, how do YOU ship it? ASK QUESTIONS! Do a little research to see whether the dealer that you’re shopping has been in business for a while or are a new shop. Check the Better Business Bureau to see if there are a rash of complaints. Some of you know me personally, some of you only know me as some “Cowboy” who writes stuff that’s outside of the box but somehow makes common sense and the majority of the time turns out to be close to “on target.” Some of you have done business with me and know that I have always done it on a handshake. I worked for a major brokerage for 23 years, more than half managing an office and never had a lawsuit or any type of settlement personally or for any one of my brokers. Some of you may want to do business with Miles Franklin but don’t know how to. As you know, I started writing for Miles Franklin last summer. David and Andy Schectman liked my style of writing and asked if I would write for them. I had already done several metals trades with them for myself personally and for some of my clients (and yes I shopped for prices). I have done some very small trades and a couple of truly mega trades. Andy Schectman treated each trade as if it were for a family member. Time, price and delivery were all explained and executed. As a side note, I generally stayed away from “numismatics” because of the high premiums in the past. Andy alerted me this past Fall that premiums had nearly vanished. It made sense to trade Eagles or Maples etc. for Liberties which carried little premium. This was a “no brainer”…BUT I didn’t know about it until Andy pointed it out to me. My point is this, you need to shop for price as I did and most importantly, you need to trust who you do business with. I assure you that I would never ever allow anyone to publish my writings if I did not trust them personally. I arrived on Earth with my “word” only and plan to leave with it still intact. Trust is of utmost importance, especially when you are talking about one’s life savings. My association with Miles Franklin is a perfect match. I am able to get the best prices available for product, I get information and a feel for “flow” from them and we “think alike.” Miles Franklin is in the business of “educating” you yes, but they pay the bills by selling metal (if they sold electronic gizmos or health insurance I wouldn’t be writing this). I found them by shopping as they found me through reading. We sized each other up and thus our relationship began. 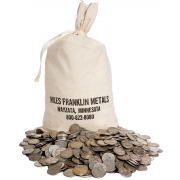 I ask you this, if you have decided to enter the precious metals arena or need to adjust your metals portfolio, please contact Miles Franklin as a part of your “shopping process.” If you enjoy my writings and feel that I “tell it as I see it,” I can assure you that I trust the company implicitly, value the information I receive from them and know that when I need to get a trade done the price will be more than fair and delivery as expected. Whether a very small or very large trade, rest assured that each one is handled as if it is your entire life savings. Feel free to contact Miles Franklin directly at 800-822-8080 and we’ll walk you through the process to make your purchase as smooth and easy as possible. Hi there, I have been following you guys for ages and have more than half invested in silver and very happy about it. I’m just an average guy, but am wondering about playing the ETF market with $10,000 but don’t know where to start. I know you guys don’t like ETFs but I have been following them for a while and seem to be able to follow the weekly trend. HOw does one go about doing it? Do you know of a website or package that allows the average guy to trade ETFs and to be able to short sell? PS And keep upthe good work! check out the Sprott ETFs, my personal opinion is that they do have the metals. the others? who knows?